How To Use Different CD Packaging To Promote Your Next Music CD? In today’s business world packaging is as important as the product itself. Millions of dollars are spent every year by product manufacturers to package their products. If you are a musician working on your next music CD it is important that you start thinking about the CD packaging as well. How your music CD stands up in the crowd of CDs in a music store will often decide the success or failure of your product. CD Duplication – You should get your CD duplicated from a crystal clear master copy. Many digital printers undertake such jobs and give you the exact number of copies that you require. Make sure you get your CD duplication done from a printer who has the latest equipment in the market. Do not compromise on the quality under any circumstance. CD Printing – Customize your music CD by getting high quality CD printing done on it. 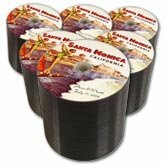 This will give a very professional look to your CD. There are also options for you to paste a paper level on your CD but this looks like a thing from the past. CD printing isn’t as expensive as it sounds and costs just a fraction higher than the paper printing. CD Sleeves – This is one of the most vital aspects of your CD packaging. If your CD sleeves looks attractive then it will sell well. You can try printing the CD sleeves in bright colored paper as it will immediately grab attention of the audience. The titles of your songs along with other information should be printed on the sleeves to make it look better. 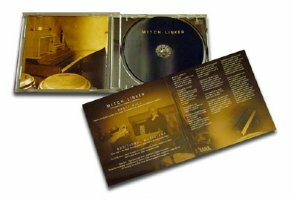 CD Booklet – If you are packaging your CD in the traditional case work hard on the CD booklet. Have a page dedicated to yourself in the booklet. Promote yourself and give a brief history about your musical career. Also print the lyrics of your song in the booklet for the listeners. Printing – Ensure that you get your CD and other things such as sleeves, inserts, tray cards and booklet printed from a professional printer. Your entire CD packaging can become a waste if the quality of the printed material isn’t good. Remember if you aren’t a well know name in the industry people won’t come looking for your music CD. You will have to attract them in the split of a second in a music store and CD packaging will play a vital role in that. This entry was posted in Marketing on June 9, 2010 by david.